« Toy Lift Bike Build!!! Toy Lift Build a Success! Thank You! Just finished putting the finishing touches on the last big wheels and safety checked the final bikes from the drop off sites for the night. 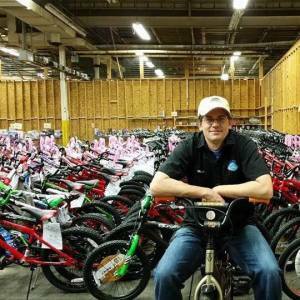 Looking around this room, all I can say is thank you to everyone for helping making the 2014 Toy Lift bike build such a huge success! It looks like we managed to get a toy to every kid and thanks to the generous outpouring from all of you, we built, donated, polished and prepared over 400 bikes! Thanks everyone for all you did!